At Xtreme Xperience, guests get behind the wheel of a 400+ horsepower luxury supercar such as a Lamborghini Huracan, Ferrari 488 GTB, Audi R8, or Porsche 911 for 3 laps around M1 Concourse. 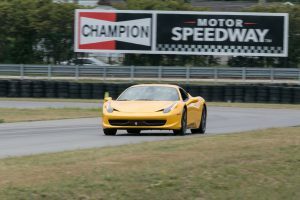 Participants benefit from an instructional class to learn racing fundamentals and track safety. Guests also receive real-time feedback from a professional right-seat instructor to enhance the experience. Guests may also choose to ride passenger with a pro driver for a pedal-to-the-metal, high-speed, adrenaline-pumping experience. High definition in-car video and photos of the driving experience are available for purchase at the track.